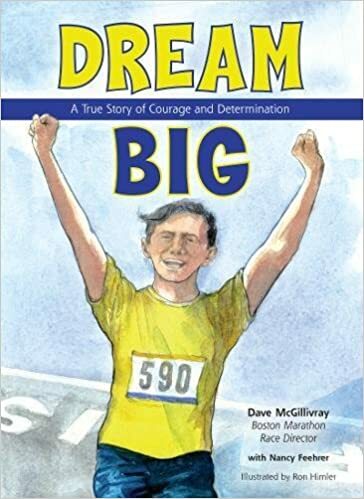 Summary: As a child, Dave McGillivray aspired to be an athlete, but he was too small for most sports. On his 12th birthday, he decided to try a new sport, running, and ended up running 12 miles. Encouraged by his grandfather, he ran 13 miles on his 13th birthday, and continued that pattern for four more years. At age 17, he announced he was ready for the Boston Marathon, but his lack of training caught up with him, and he collapsed at mile 18. His grandfather encouraged him again, advising him that big dreams require hard work, and Dave promised him he’d cross the finish line the following year. Sadly, his grandfather died before that marathon, and Dave almost gave up before the end of the race. Taking a break at mile 21, he realized he was resting next to his grandfather’s cemetery. This inspired him to finish the race, and he has continued to run it every year since. Now he runs it two ways, as the director of the race and as the final runner, traversing the course at night after everyone else has finished. Includes a challenge to run 26 miles, read 26 books, and do 26 acts of kindness in 26 weeks. 32 pages; grades 1-5. 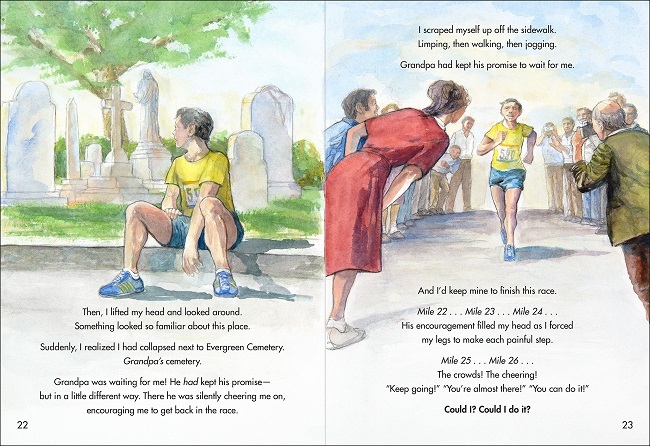 Pros: Just in time for marathon day, this inspiring story encourages kids to work hard and challenge themselves in a variety of ways. Cons: Reading 26 books seems a LOT easier than running 26 miles. The “Con” comment cracked me up! I totally agree!